Papaya and Oranges are fruits which are rich with vitamin C. Of course we love to eat more papaya at home in different ways as fresh fruits or in recipes. 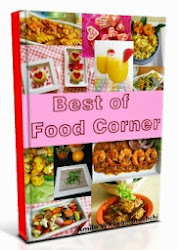 If you noticed I have shared recipes with papaya time to time. 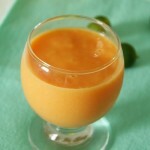 One of my favourites with papaya is papaya milkshake which I shared few months ago. Yesterday I had a good read and found these fruits are good for hives. Instead of just sharing the recipe, I thought it is helpful if I share some helpful information too. As vitamin C rich fruits, papaya and oranges play an important role in hives treatments. 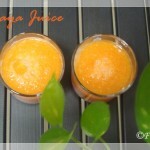 Simply, papaya and oranges help to improve our immune system. Anyway, if you are curious about knowing what are hives and its causes, below are some basic facts. Hives (medical term is Urticaria) is an outbreak of swollen, pale red bumps on the skin. These red bumps will appear suddenly. Sadly hives will causes itching and discomfort. Hives are due to allergic reactions of the body. These allergic reactions can be due to medicines and foods which your body cannot take. Stress also has an impact on hives. Although you need medicine to treat hives, certain foods can help to reduce the effects of hives. Foods rich with Vitamin B-5, Vitamin C and vitamin E are helpful when you suffer with hives. Vitamin C is important for your immune system. You will be able to improve immune system function just by adding vitamin C-rich foods to your diet. On the other way, a healthy immune system is important to reduce the effects of hives and to avoid future outbreaks. Add fruits such as cantaloupe, grapefruit, papayas and oranges to your diet to boost your vitamin C intake. 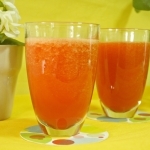 While papaya and oranges are fruits that are rich with vitamin C, a drink is a great way to consume these fruits easily. 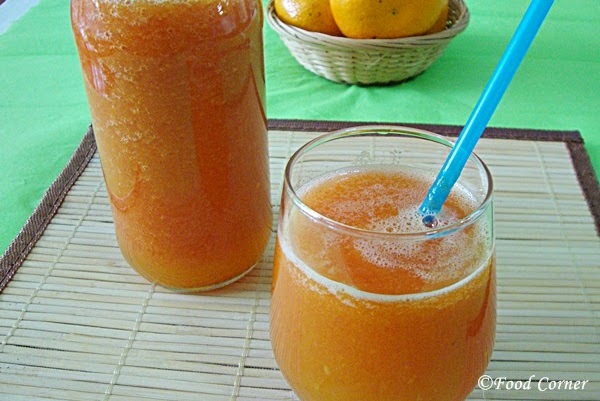 Here is today’s recipe of Papaya and Orange juice. Try it and share with me your experience with this recipe! Extract the juice of oranges and keep aside. 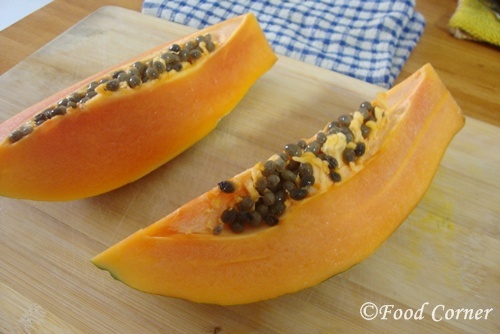 Remove the seeds of papaya and prepare 2 cups of papaya chunks. 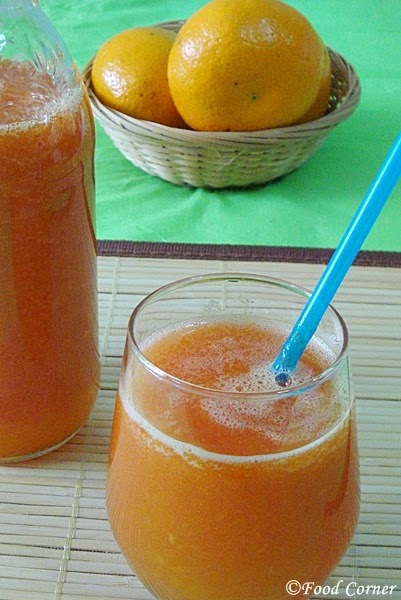 Add papaya chunks into a blender. Add sugar or sweetener as required. However this is optional and you can avoid sweetener too. 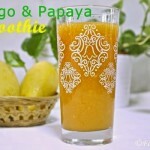 Once papaya is blended well, add orange juice into this mix & add water. Mix well until all ingredients are mixed together. Do you like this fruit combination papaya and oranges? Have you ever tried both these fruits in a recipe? Please share your thoughts. I have papaya and orange at home! I am going to try this today once home for sure! I cant say I have tired both fruits in a recipe, but a smoothie would be great! Thanks for sharing on The Oh My Heartsie Girls ww today! 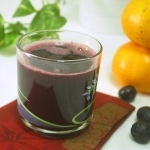 Wonderful soothing drink. Sugar is something I don’t consume so much, so won’t add it to enjoy the natural sweetness of the fruits. We get so much papaya here in Costa Rica that I should really try this! It sounds yummy and so good to know this! Thanks! 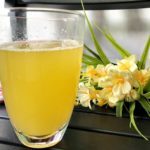 Wonderful information and a great recipe! I love smoothies and have one every morning for breakfast. Papaya was my most recent experiment in trying new things and I LOVED it! Thank you for linking up to the Oh My Heartsie Girls Wordless Wednesday Linky Party! 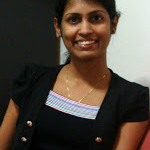 New follower on GFC! Hope you follow back and keep in touch! 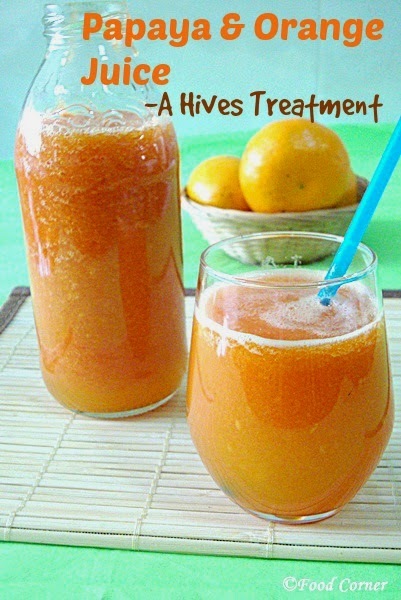 Well, this looks good just as a treat, but I had no idea that you could drink something like this for HIVES! Thanks so much for joining us at the #HomeMattersParty – we hope to see you again next week! This sounds delicious and so rich in vitamins. Thanks for sharing with Creative Spark Link Party and we hope to see you tomorrow.